Yvette was born in San Jose, California, and grew up in a classical music background, playing piano and violin from a very young age. 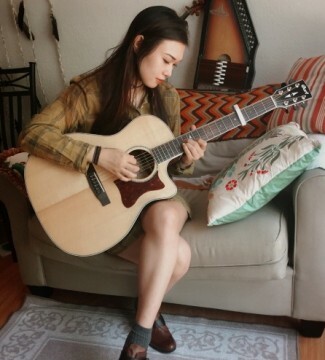 She started out as a member of two orchestras, and eventually picked up acoustic guitar. 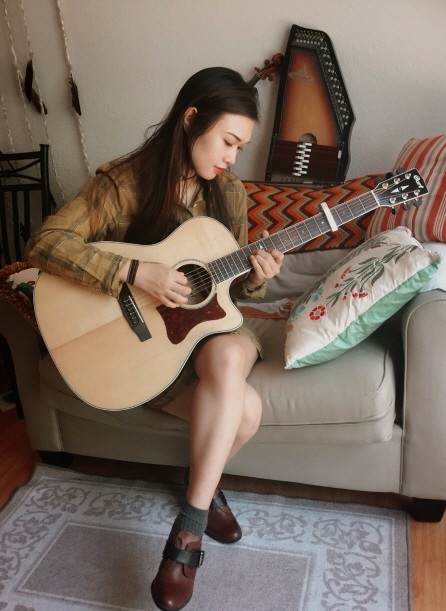 She has been composing and performing on acoustic guitar for 6 years and has traveled to Japan and the UK on tour with her solo acoustic project. More recently, she has started playing extended range electric guitars. Yvette studied Fine Arts and Visual Performing Arts education at UCLA, and is currently an Art teacher as well as an illustrator/painter when she isn’t writing music or playing with her band Covet.